Toshiba’s first tablet – the Thrive was praised for its impressive set of connecting options even before the tablet was officially announced in June. But right after the release, there have been issues reported by users, specifically around a certain workflow of sleep and wakeup. According to what some users reported on various forums including the XDA developers’ forum – some Thrive tablets at times refused to come out of sleep mode, while others automatically came out of sleep mode increasing the probability of accidently tapping on any icon! When it happened, the tablet, in most cases, had to be hard reset to come back to its normal state. The good thing is that Toshiba is aware of the issue, and recently announced a software update that should resolve the problem. Grab it through your Thrive Service Station application. Apart from the fix will be a few enhancements for multimedia playback. 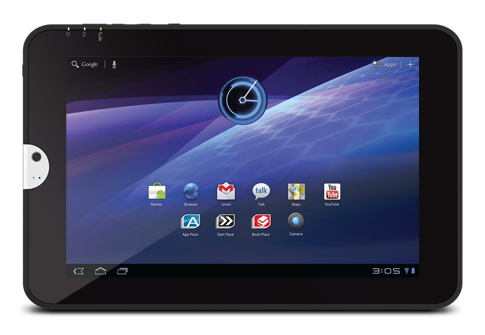 The Toshiba Thrive is a 10.1” tablet carrying a maximum resolution of 1280 x 800 pixels. 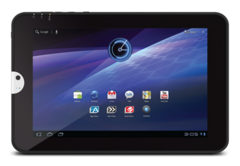 It sports a 1GHz Dual-core Tegra 2 processor, Android 3.1, up to 32GB of internal storage and 1GB of DDR2 RAM. You might think this is pretty standard industry configuration right now – but the Thrive shines in the I/O deptt. The tablet has a host of connectivity options including a full-size HDMI port, a mini and a full-size USB 2.0 port, SD card slot, 3.5mm stereo headphone jack, Wi-Fi 802.11b/g/n and Bluetooth 3.0 + HS. As if this is not enough – there is also provision for connecting the Thrive to a dock station for additional options. The Thrive starts at $429.99 for the 8GB model, and goes up to $579.99 for the 32GB one. Get your Thrive here.